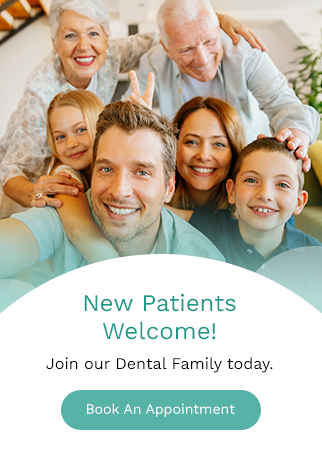 Check in with our dental health blog regularly for tips, advice and information from our dentists and hygiene team about oral health for you and your whole family! Invisalign has created a special line designed for the needs of busy teenagers. To find how Invisalign Teen is different from the standard line, read on. Invisalign is an orthodontic treatment option that is made up of a series of clear plastic aligners. These aligners straighten your teeth over a period of months. Here, our Calgary dentists provide details on how this orthodontic treatment option works. Should You Get Cosmetic Dental Treatment? Do you ever feel less than confident about your smile? If so, there are a variety of cosmetic dental treatment options available here at Harker, Chan & Associates in Calgary that could help. As we get older, our teeth can become darker and discoloured. This is due, in part, to some of the dietary choices we make. Why Is It Important to Replace My Missing Teeth? Replacing missing teeth is not only important for your self-confidence. Filling those gaps is also integral to your overall health and mouth functionality. Wisdom teeth, or third molars are typically the last teeth to erupt in the mouth - usually in your late teens or early twenties. It's common thinking that all people require wisdom tooth removal surgery at some point in their life; However, this isn't always true. Here are a few reasons your dentist may recommend wisdom tooth removal surgery. Cracked and fractured teeth are common dental problems. As people retain their natural teeth longer (due to advances in dental technology), the likelihood of cracked teeth increases. Brushing and flossing are of paramount importance to oral hygiene. Proper brushing and flossing can enhance the health of the mouth, make the smile sparkle and prevent serious diseases.